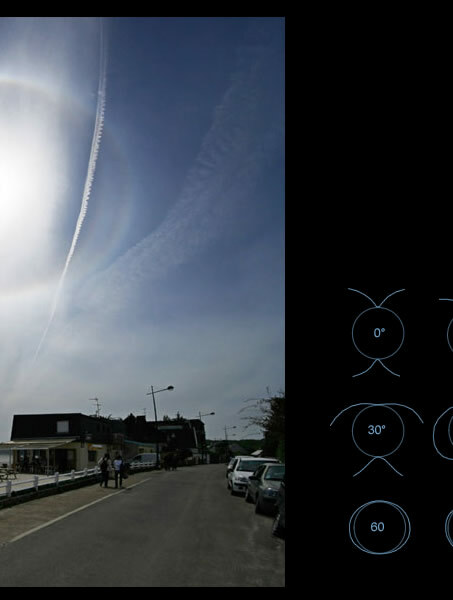 High Sun Halos imaged by Laurent Laveder (site, Sky Photos ) in France. ©Laurent Laveder, shown with permission. The inner circular halo is the familiar 22 degree halo. Surrounding it and touching at top and bottom is a circumscribed halo. At low sun there are two tangent arcs. As the sun climbs they join to form the circumscribed halo, initially a drooping oval shape. At higher sun the oval tightens and eventually it is almost circular. 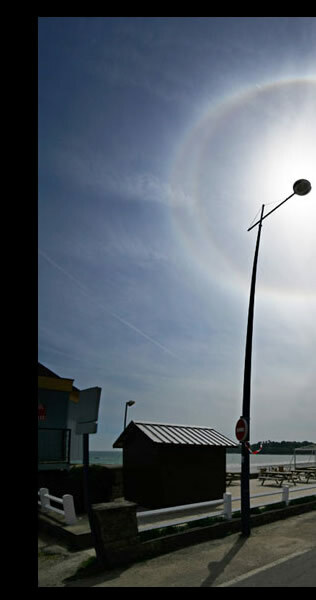 When nearly circular It is often mistaken for the less colourful 22 degree halo.